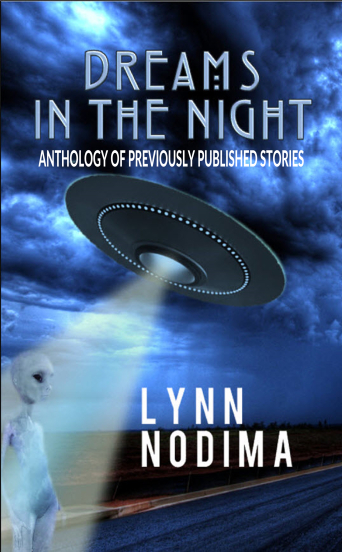 The six stories included in the anthology of stories are the first short stories I ever completed. While my novellas and novels are primarily fantasy and paranormal, these stories fall into the science fiction category. The stories were all written when I was a member of a writer's group in Austin, TX, years ago. They have been read aloud to several generations of listeners, including Lynn's children, Girl Scout troops, and Lynn's grandchildren. I have decided to publish these in a paperback format to make them easier to share to read aloud to future listeners, and to save money for the readers who might wish to read them all. Each story in this collection is published as a stand-alone short story/short read on Amazon.com and can be purchased separately. Subscribers to Kindle Unlimited can read most of my books, including this anthology and all the short stories in it, free. I look forward to publishing more short reads in the future.